The summer is nearing its inevitable end as fall creeps closer. In a few short weeks, the weather will change and a chill will be in the air, and in a blink of an eye 2013 will be over. The new year brings fresh opportunities to small business owners, especially from a marketing perspective. One great part about 2014’s arrival is that it allows entrepreneurs to distribute new promotional wall calendars. The sponsored items are effective marketing tools because they’re functional all year long so customers will developed brand recognition for an extended period of time and few other advertisements can match that longevity. Of course, company leaders don’t want to reuse models with the same images as the 2013 calendars. Customers obviously wouldn’t enjoy seeing the same pictures for another 12 months so new items have to be distributed. Fortunately, Myron Corp. has debuted its 2014 line of calendars just in time for small business owners to start planning their promotional giveaways for the end of year. All of Myron Corp.’s calendars feature breathtaking images that will engage clients so they’ll develop brand recognition for an extended period of time. Below is a look at different features and models for the 2014 calendars. Many people use their calendars to mark down important dates. For instance, a father may write in when his children are supposed to go to the dentist or note the day that he needs to take his car to the mechanic. Unfortunately, many calendars don’t provide ample space for this as each day is given a small rectangle that barely measures larger than a square inch. 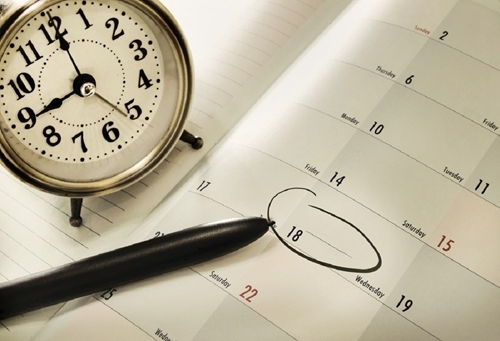 As a result, clients might not be able to keep track of their appointments. Myron Corp. has developed the perfect solution to this problem with the Jot-n-Erase calendar. Essentially, this model combines a wall calendar with a dry erase board so patrons can easily write down important dates and reminders. Additionally, the Jot-n-Erase includes a dry erase marker. This ensures that customers don’t have to go out and buy their markers just to use the promotional items. Clients will appreciate such functional gifts. Many patrons check their calendars every day and fill every box with important information. The dry erase board makes Myron Corp.’s newest calendar a vast improvement over others that only feature tiny boxes. Small business owners that distribute Jot-n-Erase calendars will develop strong relationships with clients. People like calendars because they enjoy seeing new pictures every month. Animal lovers like images of adorable pets and frequent travelers love seeing breathtaking landscapes of exotic locations. Unfortunately, these photos aren’t always sufficient for satisfying customers’ curiosity. Just because an entire library of images can’t be included in a calendar, doesn’t mean that customers should have access to limited content. In fact, many clients would prefer it if they could view additional photos and even videos, especially if finding those features was extremely simple. Myron Corp.’s 2014 wall calendars deliver exclusive content to keep clients engaged all year long. Some models include a QR code that directs users to database of pictures and videos based on which calendar they viewed. For instance, if a customer uses his or her smartphone to scan the QR code in the 2014 Muscle Car USA Custom Wall Calendar then he or she will gain access to a library of clips and photos of classic cars. Every time clients interact with the content, they’ll develop brand recognition. Ultimately, including interactive elements like QR codes may be the best way to ensure that patrons will look at calendars regularly and see a small business’ logo.